Study your CCR. Every year your home’s water supplier is required to send a Consumer Confidence Report listing contaminants found in your water—and they’re common. You can also find reports at epa.gov/ccr. Check for lead. Lead pipes were used in homes until the mid-1980s, and millions of homes receive lead-contaminated water. Call your water department to ask if your service lines are lead. Replace the lines if possible; meanwhile, always run the tap a few minutes before using water. Submit a sample. Call (800) 426-4791 to find a lab that will test your water for common contaminants. Chromium-6, a carcinogen, is in the water of 200 million Americans. Rethink bottled water. A quarter or more of bottled water is tap water, and studies show contaminants are common in most major brands. Filtering your water, in a pitcher at minimum, is a better solution. Need a new fall coat? On Sept. 20, London’s Prop Store will auction off Han Solo’s jacket—the one Harrison Ford wore in 1980’s The Empire Strikes Back, many fans’ favorite Star Wars film. Expected to go for more than $1 million, the coat doesn’t have a zipper or other fasteners—because George Lucas wanted it to be worn open. 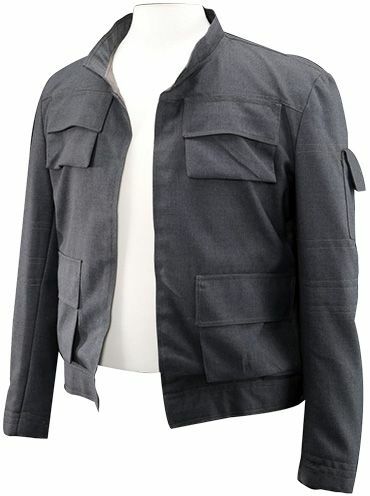 The jacket is a highlight of a larger auction of film and TV memorabilia that will also include Indiana Jones’ fedora, Marty McFly’s hoverboard from Back to the Future II, and Johnny Depp’s elaborate leather outfit from Edward Scissorhands. Register to bid at PropStore.com.